Teamie allows users to register themselves on a Teamie site. 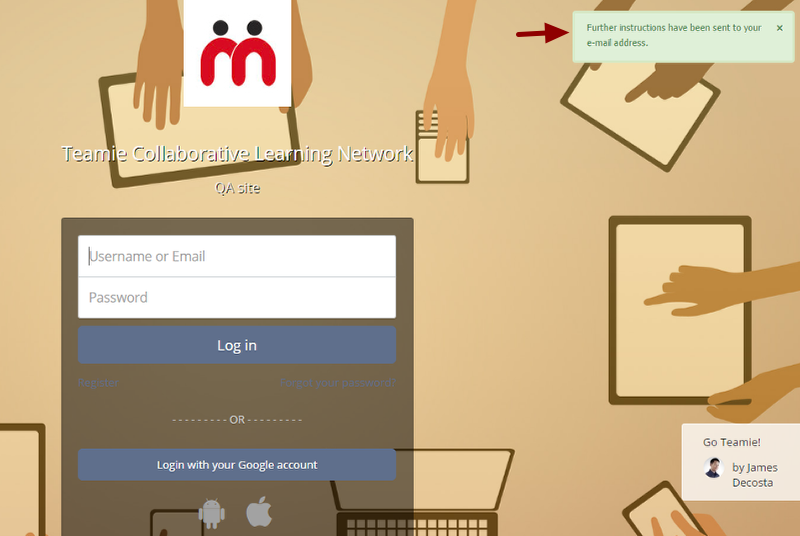 Once you have registered yourself successfully, you will be assigned the 'Interim Learner' role on the site by default.You can register only on a Teamie site on which the 'User Registration' feature is enabled. Note: You won't be able to make any post or access any classroom's resources until you are enrolled by an instructor / administrator to the classroom. 1. Open the Teamie site. Click Register below the login box. 2. Clicking on Register will take you to the 'Sign Up' page. Note: All the fields with asterisks (*) are mandatory. 3. Enter your Username and E-mail address in the required fields. Note 1: In case of Username, spaces are allowed; punctuation is not allowed except for periods, hyphens, apostrophes, and underscores. Note 2: A valid e-mail address is required to register. All e-mails from the system will be sent to this address. The e-mail address is not made public and will only be used if you wish to receive a new password or wish to receive certain notifications by e-mail. 4. Enter your First Name and Last name. 5. 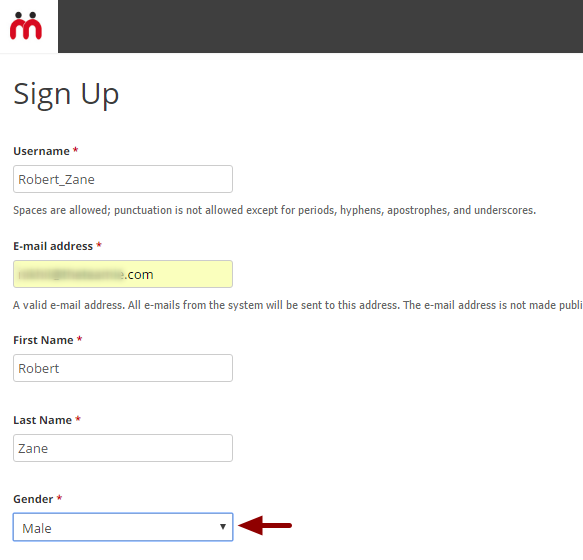 Select Gender from the drop-down menu. By default it will be set to Male. 6. 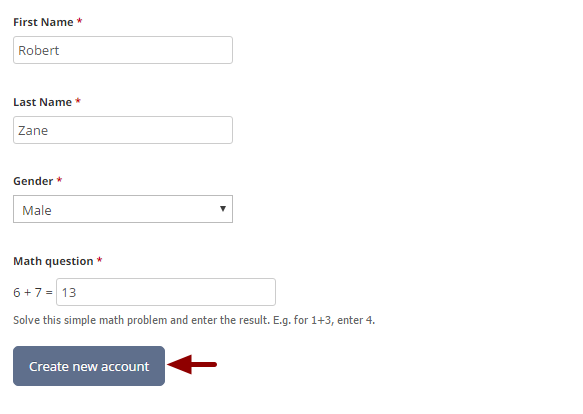 Enter the solution to a mathematical problem in the CAPTCHA field for verification purposes. 7. Click Create new account. 8. A message appears showing that further instructions have been sent to your e-mail address. 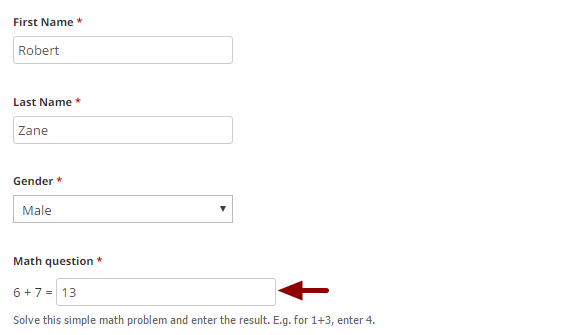 Note: Further instructions will be sent to the e-mail with which you have registered on Teamie as shown in Step 3. 9. Check your e-mail. You would have received a confirmation link in the e-mail. 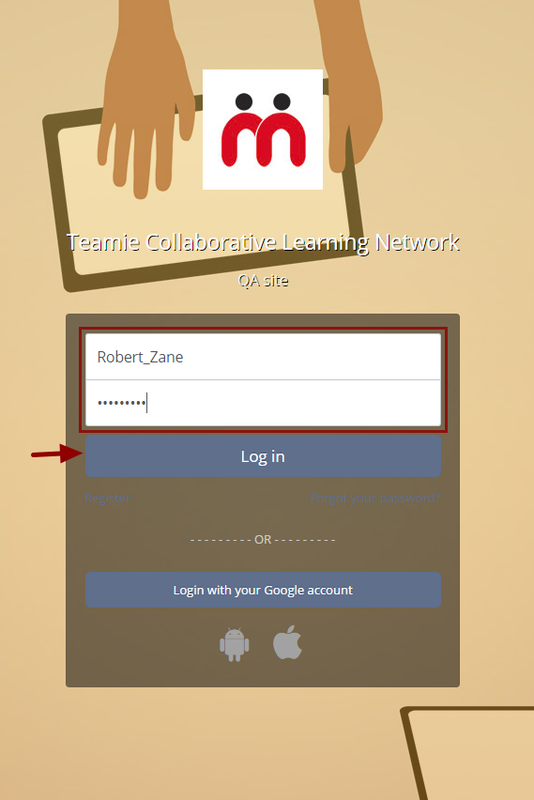 Click on the link or copy-paste it to your browser to set your password and start using Teamie. Note: The confirmation link can only be used once to log in. 10. 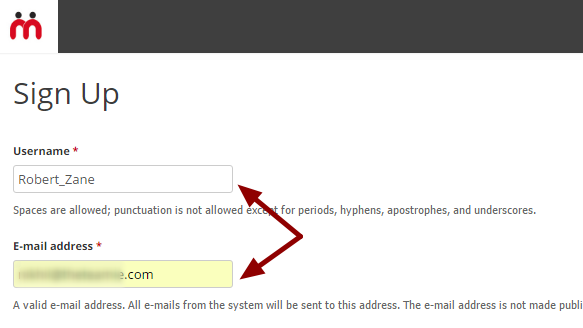 A message appears showing that you have successfully validated your e-mail address. Click Log in to log in to the Teamie site and change your password. 11. A message appears that you have logged in to Teamie through your one-time link and you need to change your password to log in to Teamie next time next time onwards. Note: The one-time link will expire as soon as you click on it from your e-mail or copy-paste it to your browser and press enter. 12. Enter your new password and confirm it. 13. Click Save at the bottom of the page to change your password. 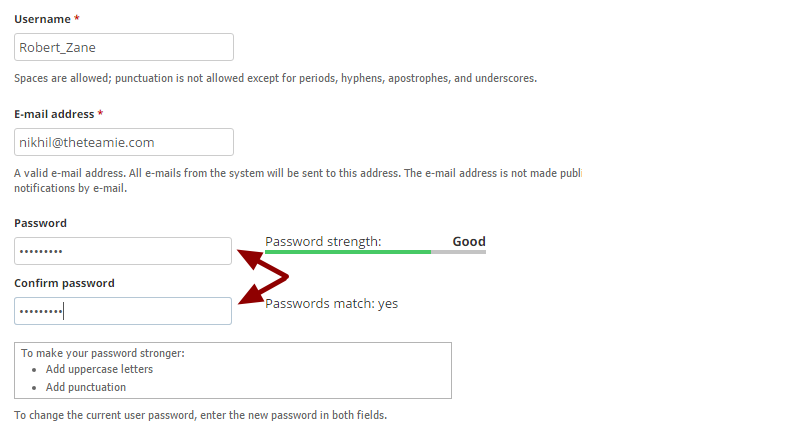 From now onwards, you will be able to log in to your Teamie account using this password. 14. A message appears showing that the changes have been saved. 15. Now enter your credential and click Log in to log in to your Teamie account. Note: You can also login with your Google account. 16. You will be logged in to your Teamie account. Note: You will not be associated with any classroom unless you are enrolled by an instructor/administrator to that classroom.. Therefore, you will not be able to make any posts or have access to any classroom's resources.